Okay, so it’s 2017 and you may have noticed that typical advertising is just not as effective as it used to be for many industries. The market is now flooded with a zillion different message coming to your prospects in many new mediums—especially the internet. 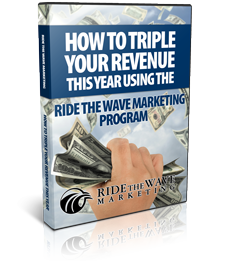 Ride The Wave Marketing implements a proprietary marketing system called the Power Marketing Program that is so effective, we can only work with one company in your industry and in your market. 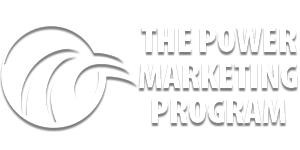 The Power Marketing Program is a COMPLETE marketing system unlike anything you’ve ever seen. 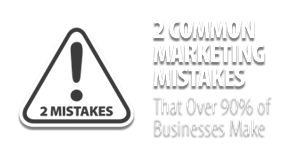 In short, we have combined some of the best elements of multiple well-known marketing systems and experts including: Jay Abraham, Michael Gerber (the E-Myth), Mike Koenigs (Traffic Geyser), Rich Harshaw (Monopolize Your Marketplace), Frank Kern, Dan Kennedy, Steve Jobs, Jim Rohn, Claude Hopkins, and others to create one, complete and cohesive marketing system that gives your business the leverage to dominate your market. 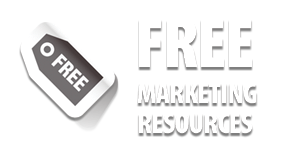 Utilizing this groundbreaking marketing system along with world class graphics, design, and media, Ride The Wave Marketing is the only marketing company with the resources to help your business become #1 in your industry. In fact, the system is so effective, that we can only work with one company per industry in any given market. So, will it be you or your competitor?